27 January 2016, Horw, Switzerland: Toradex is pleased to announce its new initiative: Hardware Partner Program. The intention of this program is to offer Toradex customers an ecosystem of third party hardware that is compatible with its ARM®-based System on Modules (SoMs). Currently, the program includes Carrier Boards, Carrier Board and Display combos, and Panel PCs. Toradex’s extensive free design resources and service partner network make it fast and simple to create a customized carrier board. However, off-the-shelf solutions may be more desirable in cases where especially fast time-to-market and low development cost are required. 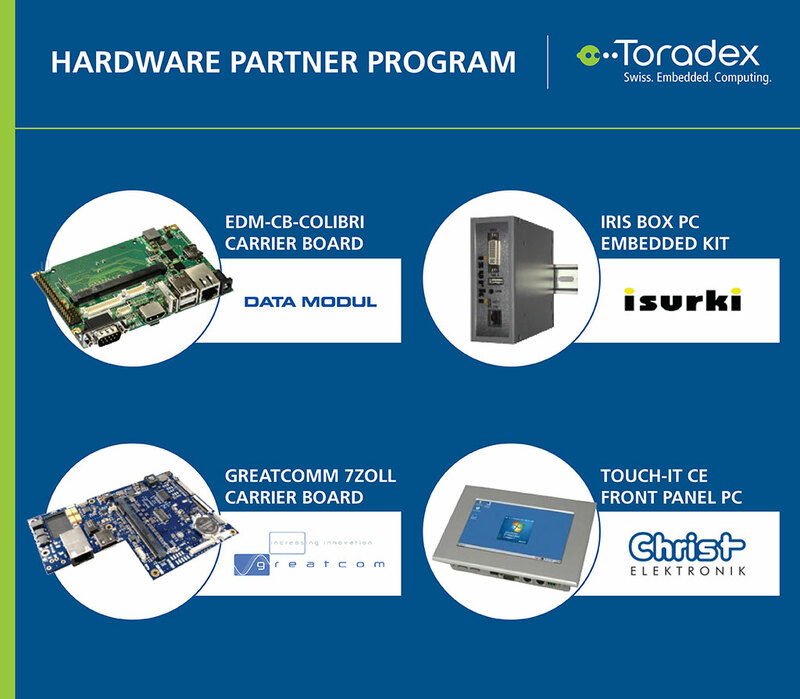 The new Hardware Partner Program supplements Toradex’s own Customized Single Board Computers offering and further expands the off-the-shelf solutions that are available to its customers. The entire list of third party hardware is available at https://www.toradex.com/support/partner-network/hardware.